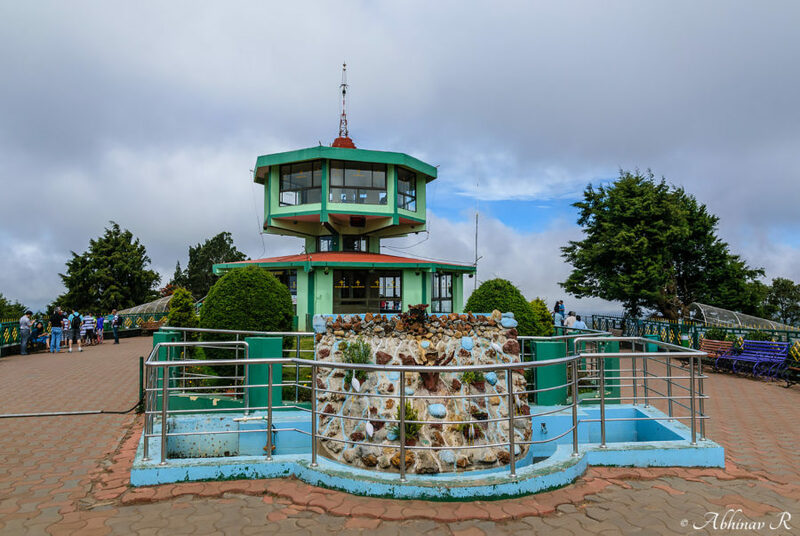 Doddabetta peak in the Nilgiris, is one of the favourite spots for tourists visiting Ooty. It is also a hotspot for birding. Because most of the birds of the area is found here. We visited the place once and hope to visit again exclusively for birding. 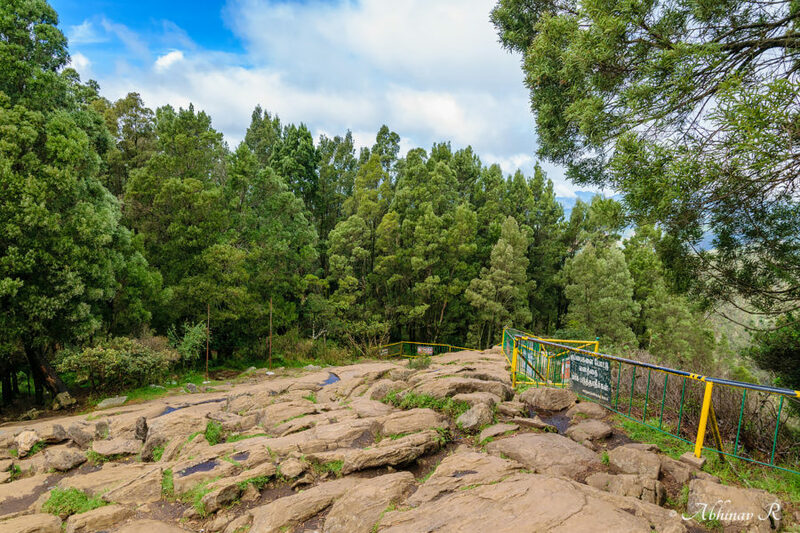 It is 9.5 km from Ooty lake. 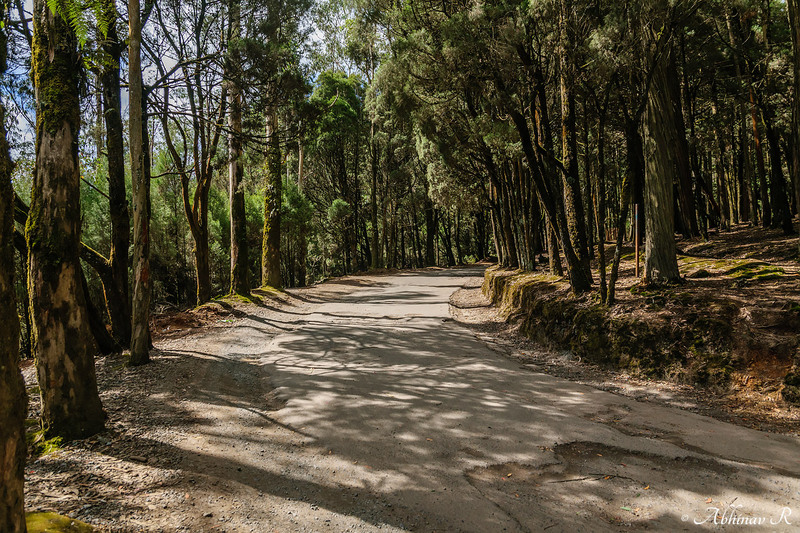 From the junction near Hotel Charring Cross, take the road leading to Kotagiri. The road gradually climbs upwards. En route you can get a good view of the Ooty town and nearby areas. After a few kilometers is the Doddabetta Tea Factory, which is also famous. After 4.2 kilometers, we reach another junction. From there take sharp right and there is a gate. There is a small entry fee. This road is narrow and slightly broken. The road ends at the parking area of Doddabetta Peak. From the parking area, a walk-path leads us to the peak. It is an easy walk which anyone can do. There are numerous vendors by the side of the way who sell toys and such things. The elevation of the peak is 2637 meters, which makes it the fourth highest peak in the Sahyadris. 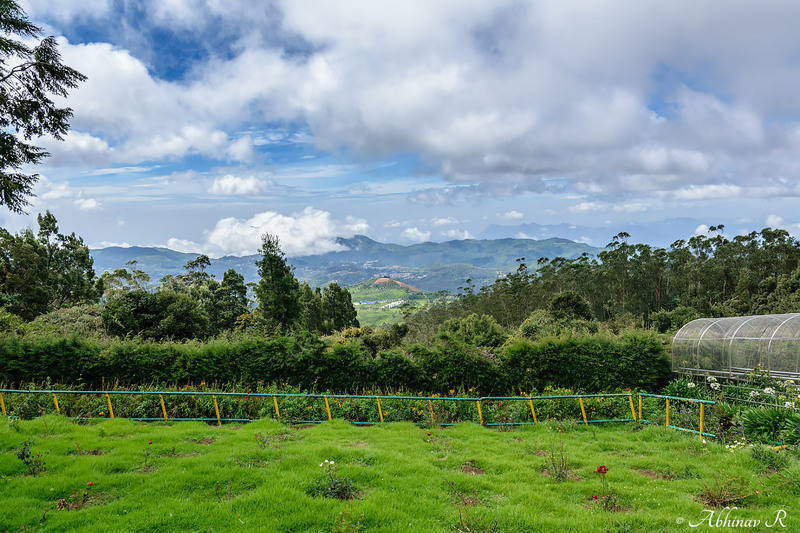 Also it is highest in the Nilgiris, which forms a part of the Western Ghats. This is a peak which does not require any trekking to reach its top. So that makes it a place crowded with tourists. The ground is tiled. There is a tower right at the center. And there is a garden and toy equipment for children by the side. 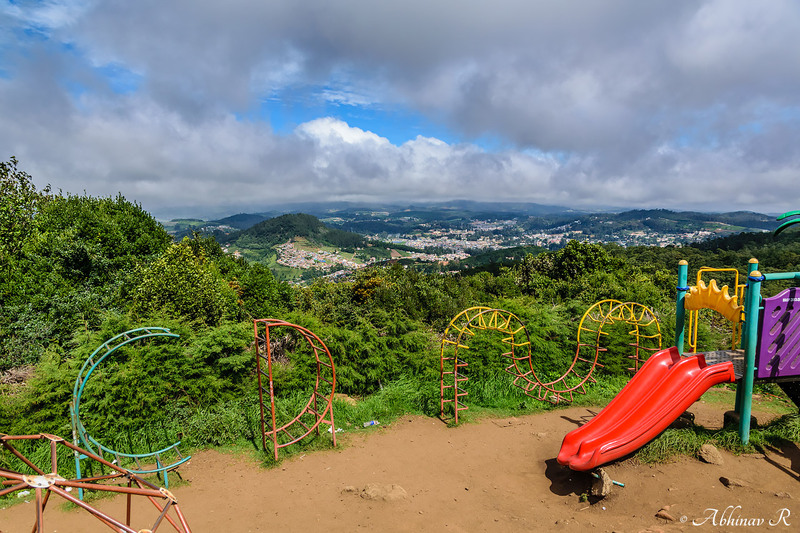 The place offers a panoramic view of the nearby places. Overall, the place typically looks like any other tourist place, with benches, shops etc. There is a stepped path downhill at one side which leads us to a rocky area. The views from there are also beautiful. 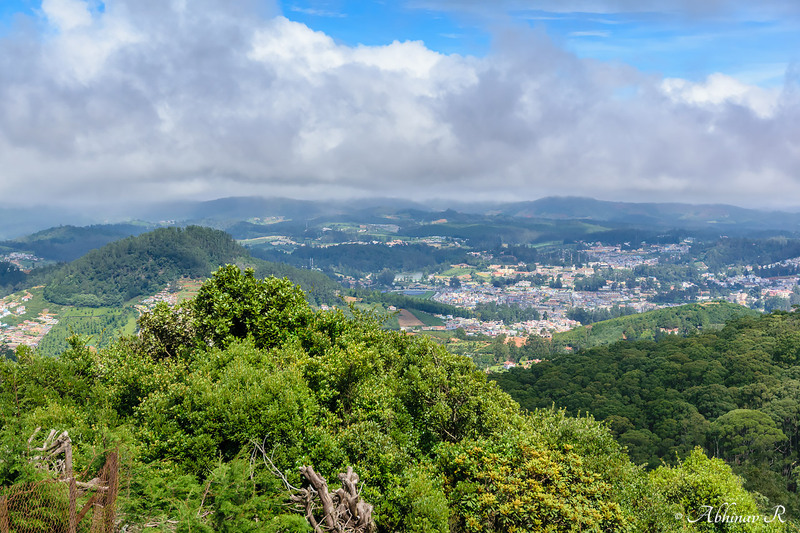 Ooty town view from Doddabetta Peak. The way leading to a viewpoint near the rocky area downhill. Birding at Doddabetta: For birding, one has to reach the place in the morning itself before the place gets crowded with people. One can almost surely see Nilgiri Laughingthrushes here. I visited there in June which was off-season. Hope to write an article about birding in the Nilgiris as a whole later. As our driver said, tourists visiting Ooty usually visit just Botanical Garden and Lake and skip this place. May be because of the distance or they don’t know about it. 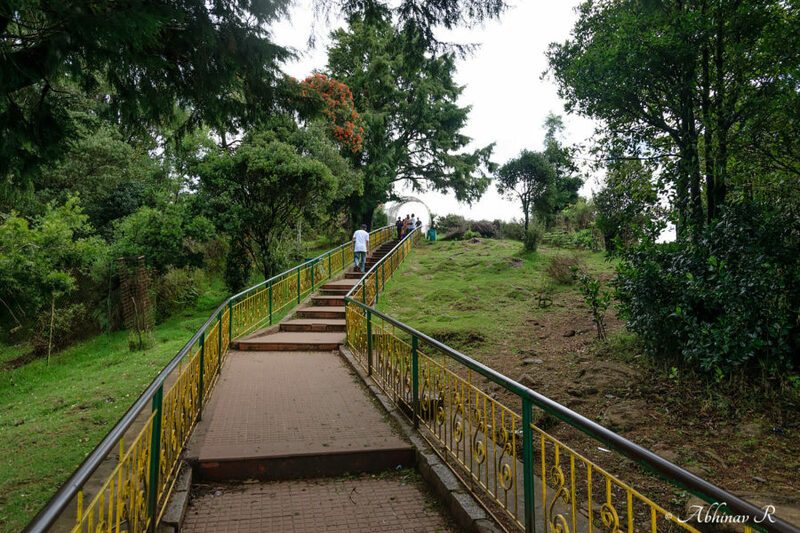 But Doddabetta is easily accessible and can be visited as part of your trip to Nilgiris.